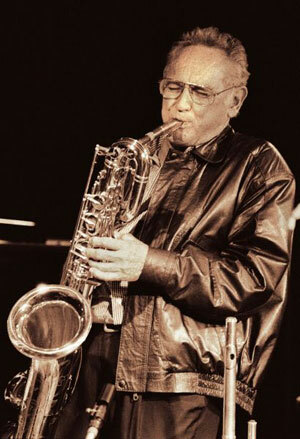 Legendary musician Don Burrows has been at the forefront of the jazz world for most of his 64 years in the business. Renowned for his musicianship and enthusiastic support for music education and the arts, Don is well respected throughout Australia and the world. He has played with big names such as Frank Sinatra, Dizzy Gillespie, Buddy Rich, Nat King Cole, Oscar Peterson, James Morrison and Tony Bennett to name a few, as well as performances with many world class orchestras. This superb multi-instrumentalist plays a Yamaha trombone along with baritone, tenor and alto saxophones.